Scaling your business is a viable goal for you, but when you realize the costs of adding more employees, it can seem impossible. The simple truth of business is that labor is expensive. And while hiring the right cultural fits is important for any growing company, sometimes justifying the costs is hard to do. Enter business automation and business technology. Fortunately, there are so many awesome tools available to make scaling much more affordable. It is a budget friendly way to run a growth-oriented company. Docs. Sheets. Slides. Everything you need lives in Google Drive. And all of our teams collaborate internally as well as with clients using G Suite. Each of these Google tools streamlines processes and improves efficiency in many ways. Plus, keeping everything in a secure cloud server reduces the potential costs of building an IT team. This isn't surprising. As a Diamond Partner, we've been using HubSpot for over a decade. Thanks to its growing suite of tools they offer, it's the heart to our business automation strategies. The free CRM is where we maintain our relationships with our contacts, and through each hub – marketing, sales, and service – we simplify a ton of ongoing tasks, like sending sales sequences or using smart CTAs to boost our lead generation. As a small company, our HR needs aren't sizable. But as we start to grow in size, we still have a good deal of administrative work on our hands. Fortunately, QuickBooks Payroll makes processing every payday a breeze. And as we build our talent pipelines and start hiring and onboarding more people, BambooHR takes a lot of legwork out of most processes. No matter your size or your current needs, there are so many options available to help you grow. There are four big areas of opportunity where business automation can take your company to the next level without requiring a ton of hiring. You're always going to need people, and you'll definitely be hiring more help at some point during your growth. But when you're just starting to reach higher with your annual goals, you don't need to build huge departments. 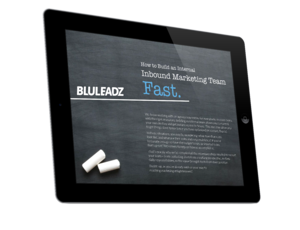 Your marketing team's job is to generate leads to deliver to sales. To deliver high quality leads though, they have a ton of tasks on hand. Content creation. Community management through social media. Link building. They've got a lot of moving parts involved in the marketing machine. And business technologies can help automate plenty of these tasks. Email marketing – Personalize messages using tokens, and simplify analytics to help you optimize your campaigns. Conversion tools – Build enticing conversion paths on your website with minimal effort by using smart CTAs, forms, and pop-ups. Workflows – Automate email drip campaigns, and set triggers to segment your contacts in a targeted way for individual campaigns. This just scratches the surface. With the right tools at your disposal, you can maximize results with your current marketing team. You sales processes can get overly complicated and bloated, slowing down your cycles and hurting your salespeople's ability to engage with prospects in a timely manner. It's important to first audit your entire sales strategy, then find areas where sales automation features can help. When it comes to sales, think about the most important factor involved in the buyer's experience – the human element. Chatbots – Help website visitors reach out to your sales team directly when they need answers quickly. Video messages – Every message you send to a prospect can include a face and personality when your team uses video tools. Lead scoring – Cut back on BDR costs by automating processes like scoring leads and sending email sequences. You can't afford to lose out of opportunities caused by a sales team spread too thin. At a marginal cost, you can close the gaps in your processes so sales reaches out to higher quality leads in a faster manner. Customer service teams are vital to keeping customers coming back and advocating for your brand. Without the right tools, they will experience many obstacles preventing them from delivering the best service possible. Notifications – A prospect using a free trial looks on your FAQs page. A visitor is scrolling through your pricing page. No matter the circumstance, your service team should know actions being taken in real time so they can proactively support your customers and visitors. Knowledge base – Build a library of informative content to allow visitors to seek help on their own schedule or to give reps a resource to route callers to. Live chat – Scale the personalized communications you have with customers by routing them to the right agent. Then, automate task creation based on specific actions. When your service team can be proactively helpful, they can deliver an excellent experience at every customer touchpoint. And that kind of consistency yields big business results. The processes of staffing, managing talent, and overseeing administrative work requires a great deal of resources. At least it used to. Surveys – Using pulse surveys helps your leadership team keep a finger on the pulse of your team to ensure happiness scores are high, and if not, how to help your team stay satisfied. HRIS database – Keep track of all your employee information in one resource to ensure compliance and keep records straight. Applicant tracking system (ATS) – Even if you're not hiring now, you can still fill your talent pipeline to keep A players engaged with your brand by using an ATS (like Google Hire, which is our favorite). When you're ready to add to your headcount, you will have a pool of eager candidates excited to join. Payroll software is an essential component as well. This, along with other HR automation tools, creates peace of mind while you're optimizing complex HR processes. As you can see, every area of your company can benefit from business automation and business technology. By finding the right set of tools, you can hit that big growth goal while sticking to your limited budget.